Game of Thrones is now well known for selecting some of the world’s most stunning spots to film it’s complex tale of power and struggle. So, it is of no surprise that they arrive back onto Spanish shores for series 7. The story unravels as the ancestral home of House Tyrell, Highgarden, is claimed by Jaime Lannister for his own purposes. Highgarden is actually Castillo de Almodóvar del Rio, located in Cordoba – an Andalucian city with a wealth of incredible moorish architecture. It sits less than 2 hours from the glamorous town of Marbella and forms one part of the three “jewels of Andalucia” (uniting Seville and Granada). The castle sits of the banks of the Guadalquivir and dates back to the 8th century. Game of Thrones fans will be happy to know that the castle – with all of its towers, dungeons and battlements – is open to the public. Although this isn’t actually the first time that Andalucia has been featured on Game of Thrones. Seville has always been a bit of a favourite. 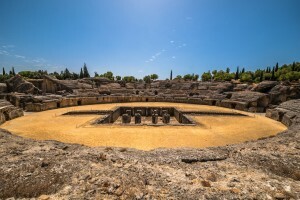 Whilst it is rumoured that battles will commence in the ancient Roman city of Santiponce, the city’s Royal Docklands have already been confirmed. 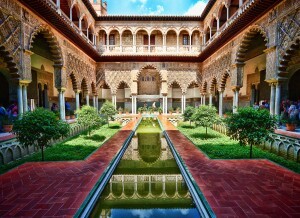 And the Alcazar of Seville appeared as Sunspear, the capital of Dorne. These Game of Thrones stories hold more than a ring of truth when featuring the beauties of Andalucia that have been revered throughout history. For more information on this incredible province of Spain, please contact Real Capital Solutions Spain.